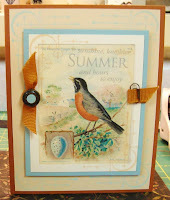 Vada's Blog Stamp Inks and Paper : I’m still here!!. Thought I would add some cards that I did some time ago, so you don’t think I have given up on stamping. I have been keeping up, but it’s late at night and by the time I get around to posting, I’m just to beat to see anymore. First is a tag that I used distress inks and a new stamp from Hero Arts. I did two cards for the Play Date Challenge but didn’t like either so I didn’t post them. I love this set of colors even though mine are way too dark. The bird graphic is from “The Graphic Fairy“, stamp is from Hero Arts. Thanks for spending time with me today. 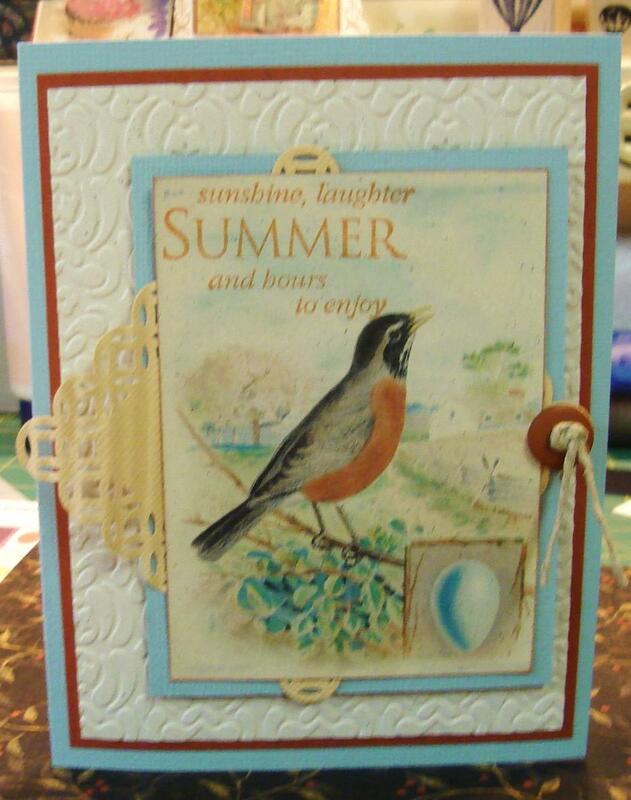 The tag is fabulous but I have to say that I really love the bird cards. The colours, composition and all the details - stunning. I don't think your PDCC colors are too dark at all! 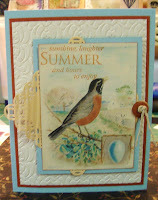 Beautiful summer card! Love that snazzy tag, too.